Orb chandeliers have been around for a while now. I don’t know about you, but I love them as much now as when I first saw one over at Restoration Hardware. I have been coveting this one for at least a year now. While shopping in Home Goods one day, I found the inspiration to make my own DIY light fixture. It was in the gardening section and clearance-priced at $12. I knew immediately I wanted to turn this into a light fixture. Of course, I would need my husbands help with the electrical part of this project. He really doesn’t like home improvement projects, but agreed to help out with this one. Now to figure out how to get a chandelier to fit in there. I visited thrift stores, yard sales, & Habitat For Humanity with no luck. I finally found what I was looking for in a local antique store. 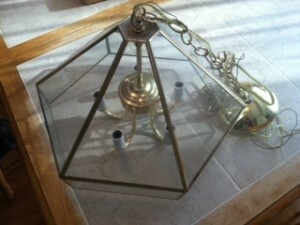 Check out this brass & glass fixture from the 70’s. I knew the chandelier part was small enough to fit between the metal bars of my orb. Next, John disassembled the ugly brass chandelier, which fortunately came apart by simply unscrewing it. Then I spray painted over the brass with Rust-Oleum metallic spray paint in bronze. I used metallic because that was the only finish I could find in the bronze. I did not spray paint the orb itself to match because I liked the weathered look of the orb the way it is. 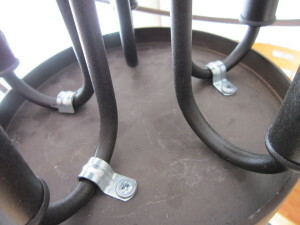 Once it dried, John attached the chandelier to the base with metal brackets called cable straps. 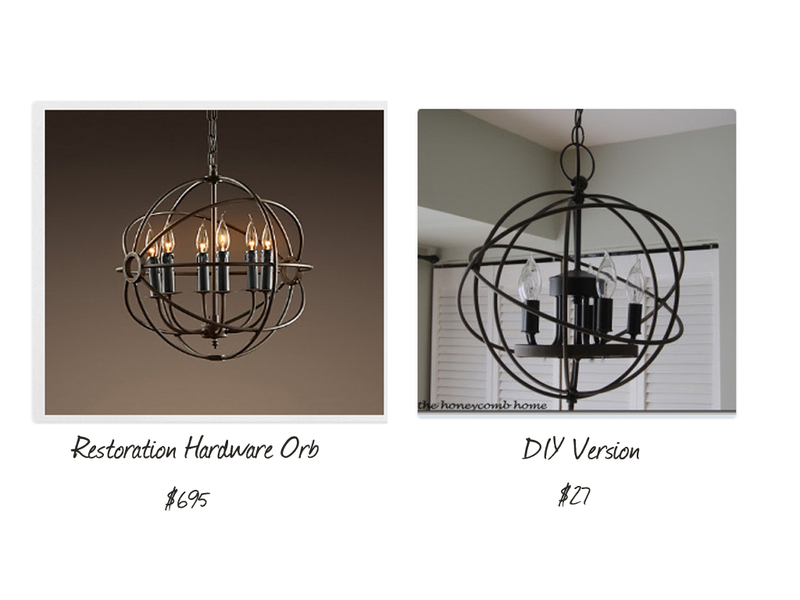 And finally, here is our version of the Restoration Hardware Rustic Iron Orb chandelier. RH chandelier cost: $695.00 for the small one . My version cost: $27.00. 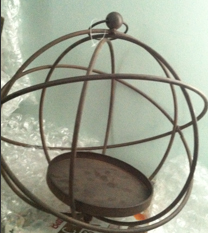 I have seen other versions of this orb at Marshall’s and TJ Maxx . Home Goods recently had one in a beautiful shade of Kelly green. I also found some orbs online, you can see them here and here. 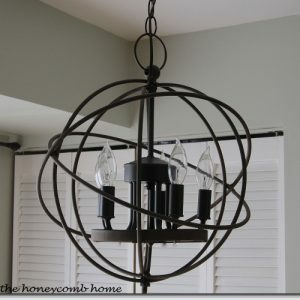 You could also simplify the chandelier part and just use a pendant lighting kit for the center. Happy hunting! 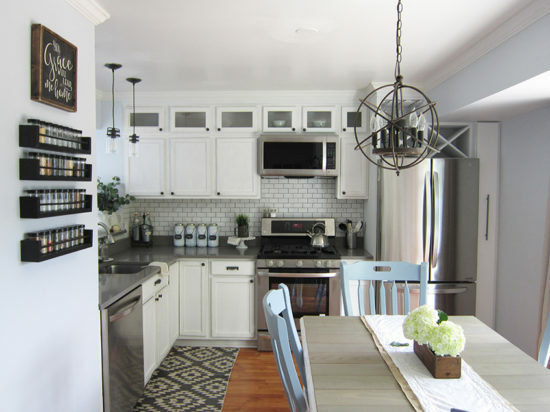 You can see my full kitchen makeover here. 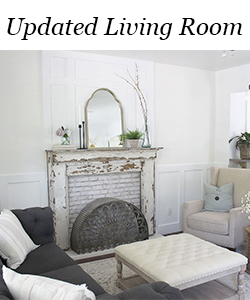 I came across this post on Knock Off Decor. I just wanted to say how amazing your light fixture turned out. I feel like I’ve seen other knock-offs of this style and none of them do justice to the original like yours does. Really beautiful work!! Thank you Chris, that just made my day! How totally awesome! I’ve been loving that RH chandelier for the longest time too! 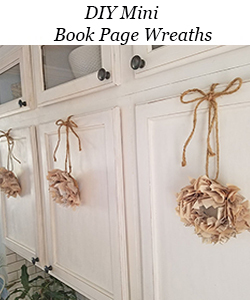 Saw this on knockoff decor’ post today and had to see how you made this…. I initially thought the RH one was yours and the photos had been swapped by accident…. Yours looks professional and theirs at first glance looked like two hanging basket frames put together. Oops, sorry I attributed that one to you, if only fleetingly…..
Also got a real laugh when I saw the origin of your chandelier part. I used to have the identical fixture over our breakfast room table, 32 years ago when we built our home. Loved your post, I’m def on the lookout for one of those!! Thanks so much for sharing and for making me laugh!! 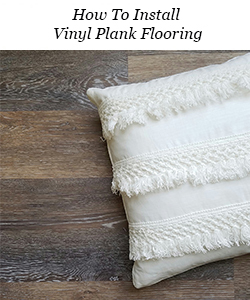 I have loved this since I first saw it in their catalog. Your version is awesome! Love LOVE your version soooo much better. Have been visualizing something just like yours & plotting how to get! Now to start the hunt for the goodies. Thank you Jan, happy hunting! Great job! Best knockoff so far! Looks like yours was the one for $700! I really like yours MUCH better than the R.H. version. Well done! I was drawn to your post for the fact that I too love these orb lights. 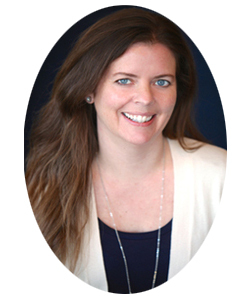 I just posted on my blog how I made mine. Don’t you just love Home Goods? and your light is fabulous! Ah…. wow!!!! This is amazing. I have seen these all over, am always wanting one. But the price of most kill me. You guys did an amazing job, I did not know one could be so easy to recreate. Now I have to try and do this. Thank you for sharing at Friday Favorites! Thanks, Emily and I will! Your version looks just as good as theirs! I do envy those of you with taller ceilings. 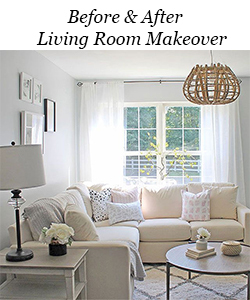 I would love a pretty light fixture like yours! <3 pinned! That is just awesome. What a good feeling to be able to make something that looks as good as the much over priced version. GREAT JOB! I am sooooo impressed! Your lamp looks just wonderful and soooo expensive! Great job and thanks for sharing it with us. Fabulous job! I want this light so bad but I do not want to pay the price for them! I was wondering what size yours is?! Hi there! This looks really great! What I can’t figure out, though (and you didn’t mention), is how you got the wire through the top of the orb. I see a round knob (like a finial) at the top of the orb, and I still see it in the finished product, but I have no idea how you got the wiring through that! (Or how you attached the top part of the chandelier to the inside top of the orb. 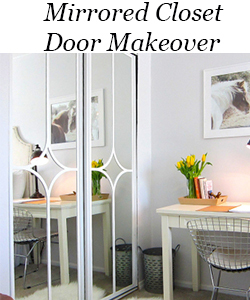 Quite honestly, I love your chandelier more than the Restoration Hardware version! It is beautiful. Can’t believe it was only $27 to make! OMG…you talented, creative people make me so jealous. 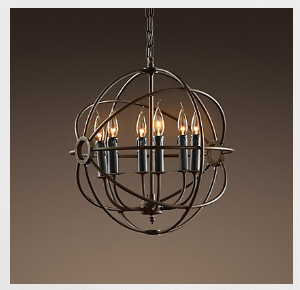 You really nailed this chandelier…take that Restoration Hardware, YOU have been bested. This is amazing, what a great idea and money saving project!! This is such an awesome transformation! It was such a great idea to re-purpose that old light fixture to fit your chandelier. I love this style of chandelier and will definitely be looking for opportunities to DIY one of my own. I love the RH one, but $695 is just a bit steep. Haha. 😀 Thanks for sharing the tutorial — the cable straps to attach the old piece to the new was absolutely brilliant!